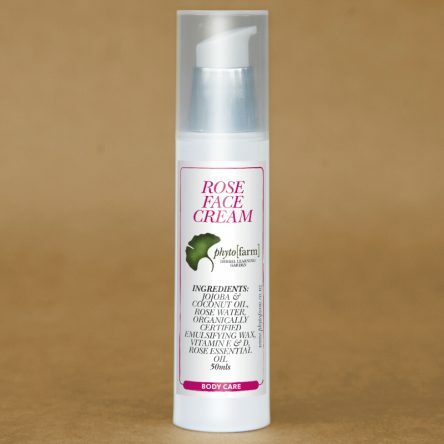 A light face cream with pure essential oil of rose, this cream moisturises your skin and prevents drying of the texture of the skin. The organic oils, waxes and purified water provide ingredients that are chemical free. A cream suitable for all types of skin.